Andy Serkis is a renowned actor who began starring in movies from way back in his university days to date. He is popular for his role as the computer-generated character Gollum in the trilogy of The Lord of the Rings. Aside from his acting skills, Andy is also a film director, producer, and writer. He has starred in blockbuster movies such as The Hobbit, Avengers: Age of Ultron, Black Panther, and Planet of Apes among others. For his roles in particular movies, he has earned some awards such as the Saturn Awards, Empire Awards and so on. Andy Serkis was born Andrew Clement Serkis on 26 April 1964 in Ruislip, Middlesex, England. His parents are Lylie and Clement Serkis. Lylie was a Brit who taught disabled children while Clement was a gynecologist of Armenian descent, born in Iraq where he often worked. Andy grew up in England with his mum and siblings and had holiday trips to the Middle East to see his father and other relatives. Although Andy’s parents were strong Catholics, he is currently an atheist but still has high regard for his patents’ faith. He attended the St Benedict’s School, Ealing for his high school education and Lancaster University for college. His first choice subject was not known but he took theatre as a secondary subject. He also participated in a few productions and was part of Nuffield Studio which allowed him to design posters and produce plays. After his lead role in the play Gotcha, as Barrie Keefee, Andy’s interest in acting sprawled and he changed his major subject to acting at the end of his first year. In an interview, he revealed that his parents were petrified when he informed them of his intentions to go into acting. According to him, they wanted a more solid profession like law, little did they know that this was a decision never to be regretted. He began acting in his first year after he landed some roles in plays. In his third year, Andy Serkis obtained his Equity card when he joined the local backstage team of the Duke’s Playhouse. A year later, he featured as a one-man actor in the graphic novel: The Tin-Pot Foreign General and the Old Iron Woman. He graduated from Lancaster and went ahead to learn a broad range of productions; from Brecht to Shakespeare to modern British playwrights. Andy Serkis’ major theatre role came in 1989 in the Shakespearean play Macbeth. The play took place at the Royal Exchange Theatre in Manchester. His first film roles were in the television series The New Statesman; he was also seen in Morris Minor’s Marvellous Motors, Saracen, Streetwise and so on. In the early 1990s, he made appearances in an episode of the TV series The Darling Buds of May, Loop, Susannah York, The Bill among others. The movie Einstein and Eddington landed him his first major role. He brilliantly delivered the character of the inventor Albert Einstein alongside David Tennant who played Arthur Eddington. Andy came to limelight when he featured in the epic fantasy adventure film, The Lord of the Rings trilogy. He played the role of the computer-generated Gollum, a mystic creature from 2001-2003. For this role, he was nominated for the Academy Award for the Best Supporting Actor. After The Lord of the Rings, Andy Serkis appeared in several movies including those that involved motion capture acting, animations, and voice work for computer-generated characters. He was cast in popular films and animations like Planet of Apes reboot, The Adventure of the Tin Tin, Star Wars Sequel: The Force Awakens and most recently in Black Panther and Mowgli: Legend of the Jungle in 2018. As a director, he made his debut directing in the 2017 movie Breathe and also directed the movie Mowgli: Legend of the Jungle (2018) which he featured in. The British actor has a few awards to his credit such as the Screen Actors Guild Awards for Outstanding performance in 2004, Critics Choice Movie Award For Best Acting Ensemble 2004, BFCA Critics Choice Awards for Best Digital Acting Performance 2004, Empire Awards for The Best Actor in 2010, Empire Inspiration Awards 2010. Andy Serkis is well known and recognized in Hollywood as an actor and director. He has played various roles in a lot of movies and from all his hard work has accumulated a tangible sum – a net worth estimated to be about $28 million. 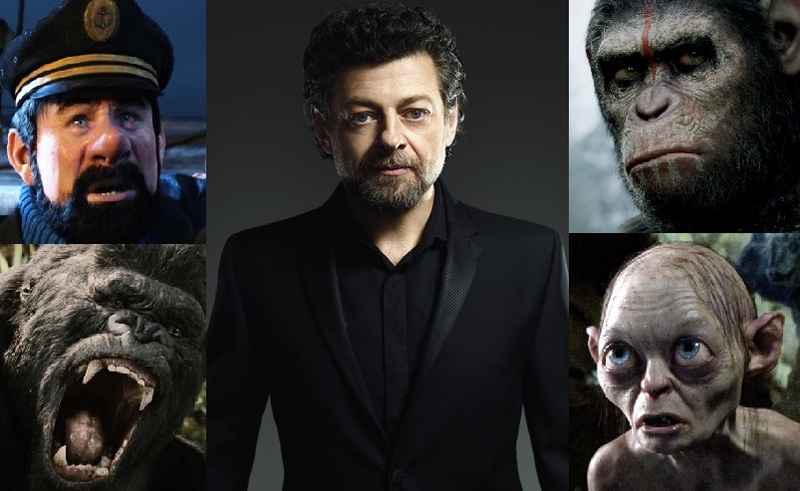 However, details of the exact figures Andy Serkis earns as salary is not known. The iconic actor is happily married to actress Lorraine Ashbourne who he tied the knot with in July 2002. They have three children together; Ruby (1998), Sonny (2000) and Louis (2004). It is unknown when the two met, however, Ashbourne is an English actress who also starred in the movie King Kong alongside her husband.